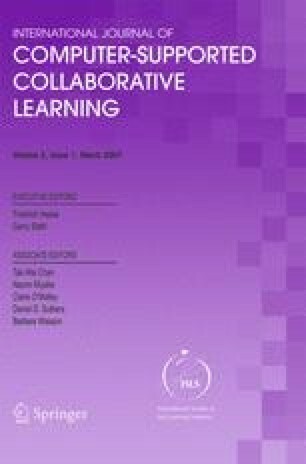 The focus of this study is to explore the advances that Social Network Analysis (SNA) can bring, in combination with other methods, when studying Networked Learning/Computer-Supported Collaborative Learning (NL/CSCL). We present a general overview of how SNA is applied in NL/CSCL research; we then go on to illustrate how this research method can be integrated with existing studies on NL/CSCL, using an example from our own data, as a way to synthesize and extend our understanding of teaching and learning processes in NLCs. The example study reports empirical work using content analysis (CA), critical event recall (CER) and social network analysis (SNA). The aim is to use these methods to study the nature of the interaction patterns within a networked learning community (NLC), and the way its members share and construct knowledge. The paper also examines some of the current findings of SNA analysis work elsewhere in the literature, and discusses future prospects for SNA. This paper is part of a continuing international study that is investigating NL/CSCL among a community of learners engaged in a master’s program in e-learning. Reffay, C., & Chanier, T. (2003). Social Network Analysis Used for Modelling Collaboration in Distance Learning Groups. Intelligent Tutoring Systems: 6th International Conference, ITS 2002, Biarritz, France and San Sebastian, Spain, June 2–7, 2002. Proceedings Retrieved 1 September, 2006, from http://www.springerlink.com/content/Ogfrmknm1tyh2p6k.